What is this guy talking about? A few facts and figures. Contrary to popular belief, most current implementations do not compile Modelica. You cannot check, compile and ship your library. Modelica Models do not scale optimally. Sometimes instantiation may take longer than simulation. variable - structure models and (separate) compilation share a common solution. In case of Modelica (or any other equation based modeling language), we want to translate equations and models into something more "computational". This talk will focus largely on model instantiation. Compilation to Java is a novelty for Modelica. 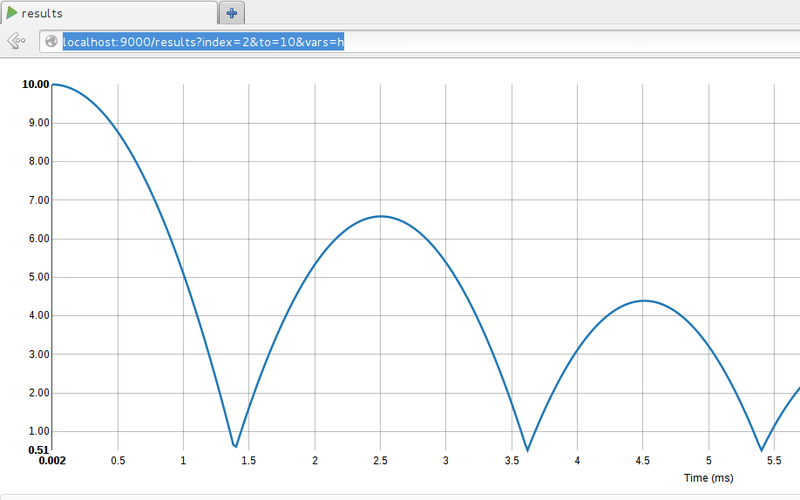 This was a (successful) experiment to determine, whether the JVM can actually host Modelica. In fact, also LLVM or even x86 assembler would be suitable, but require some additional work. Real z = f(B(1.0, 0.0)); //legal! The success of get can be guaranteed by static typechecking. Fortunately, super classes cannot be redeclared in Modelica! Every class takes a context parameter (holding all modifications). In case the ctxt does not provide a value, the default constructor is called. Every type is translated into an instantiation function. Type redeclaration is translated into a modification of this function. In particular, there is no specific order of type evaluation specified in Modelica. Nice, but how do you simulate? Equations are higher-order functions taking an unknown and yielding a real-valued function over time. Currently, composition is just "collect them in a list"
Every expression is compiled to code and some symbolic informations are kept additionally. model Faculty "recurses n! times"